Half-Hour Hegel: The Complete Phenomenology of Spirit (eventually): Launching A Patreon Campaign For Half Hour Hegel! Launching A Patreon Campaign For Half Hour Hegel! Patreon is something like the better-known Kickstarter and Indiegogo -- a "crowdfunding" site, but unlike those two, which tend to be used to support single-product projects, Patreon allows people to contribute per product (in this case, per video), making it ideal for artists, musicians, cartoonists, podcasters, video-content-producers -- even for philosophers. 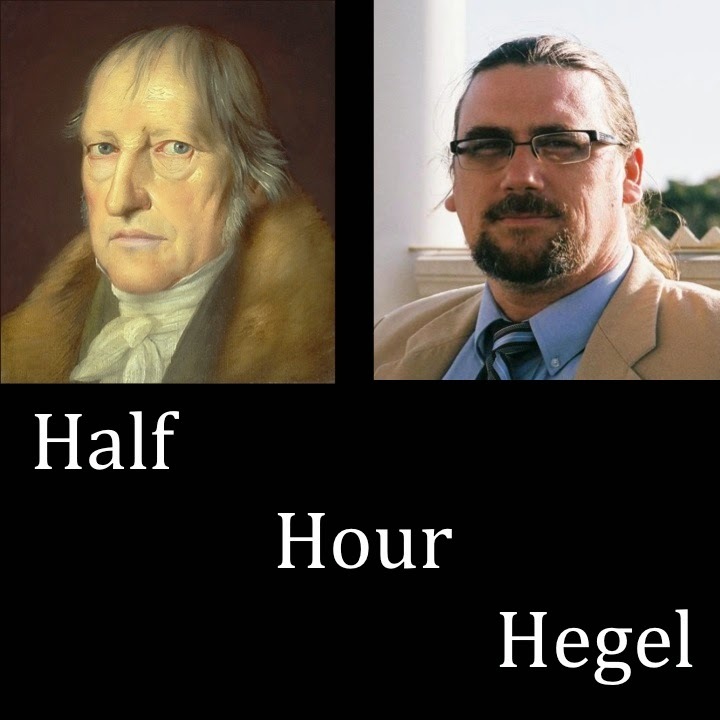 At this point, the 44 Half Hour Hegel videos I've produced so far have had over 55,000 views -- and according to YouTube's estimation, over 600,000 minutes (or about 416 days) of those videos have been watched! I'd say that for each half hour installment, I probably devote about 4 hours of rereading, reflection, planning, shooting, and editing, so right now, we're looking at about 176 hours of work invested on my own part. I'm in the process of creating something new with this series -- an entirely online, video commentary covering the entirety of Hegel's Phenomenology. After just a year, it's helped hundreds of people study this thinker and this work. These videos are likely to exist on the internet as a digital resource for decades. So, if you'd like to play some role in supporting the ongoing development of an innovative educational resource providing a common intellectual good for generations to come -- and you'd like to get some personal rewards out of it to sweeten the deal -- here is the opportunity! We Begin the Section "Perception"